Hi there! 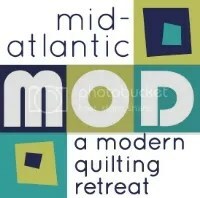 We are so excited to introduce the new online home of the North Jersey Modern Quilt Guild. Take a click around, let us know if you have any questions in the comments or at njmqginfo[at]gmail.com. Be sure that you sign up to receive updates from NJMQG.com over to the right, whether it’s by email or RSS. We have lots more exciting events and announcements coming soon. Also, if you are a NJMQG member and have your own blog, please let us know so we can include you in our sidebar. Many thanks to the talented Daniela DiIorio for our gorgeous new logo, and for all the members who voted on the style and palette. Happy quilting, and we’ll be in touch soon!